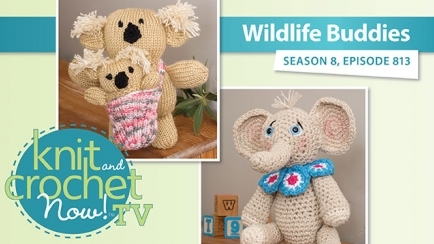 Join Lena as she shows how to knit a cute and cuddly Koala mother carrying her baby in a colorful bag. 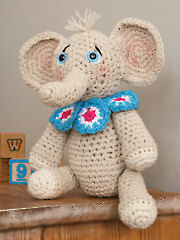 Meredith ends this season by crocheting a lovable Elephant sporting a colorful collar. In the technique corner Melissa teaches you the basics about knitting charts. Finally found season 8. 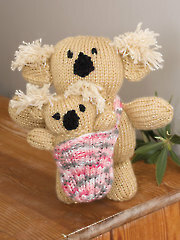 I love the Koala. Can't wait to make it. I am also so glad to see Lena and Ellen back on the show. They are great teachers. I am also enjoying Melissa, good addition.